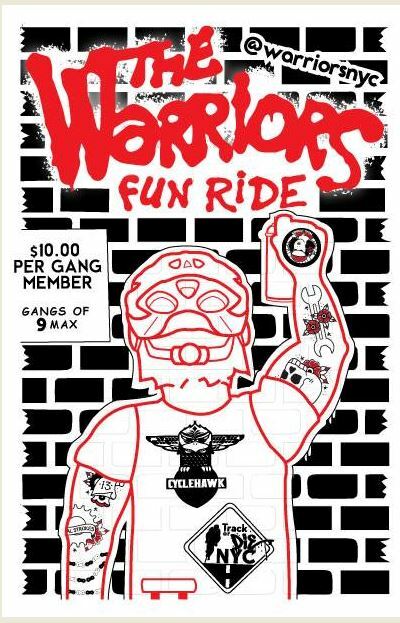 What was once a 2002 NYC biking legend, is now becoming a NYC biking tradition, with the 2018 edition of “The Warriors Fun Ride” scheduled for July 7-8, 2018, “dusk till dawn”. Previous rides were organized in 2014, and 2016. 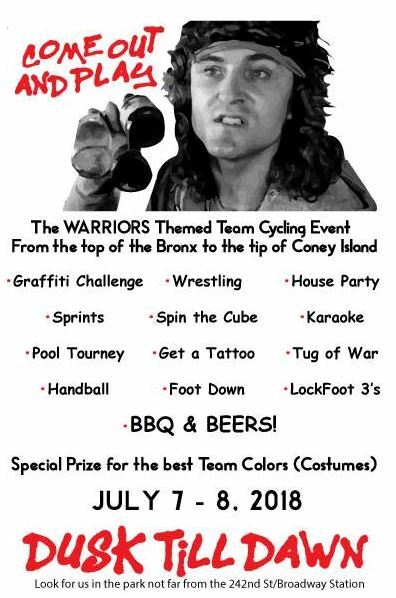 The bike ride is based on the 1979 cult classic film “The Warriors“, in which a Coney Island gang is falsely accused of killing a leader in the Bronx, who was trying to unite all the feuding gangs in NYC, and must make it back to their home turf without being caught. The 2002 ride was such a hit, around 800 people showed up, a film was created documenting the event, and screened multiple times at the Bicycle Film Festival internationally for years. Hope you come out to play-ay!!! !